← What Makes an Affair Down? is having a baby with the alienator. Pick whatever it is about your situation that makes it seem (or you feel) that your situation is a special case of greater than most MLC challenges. Or is my situation an exception to Standing? I get asked questions like this all the time and I do not offer specific or personalized answers because this is a personal choice. But I can offer you a general answer to the question Can I keep Standing?. That answer is YES! I cannot (or perhaps should not) tell you or anyone what choice to make; that is not my place. I can offer advice or thoughts on what I might do in the same situation, but regardless there are other aspects of your more broad situation that would still differ from mine and there are no rules that requires you to Stand. Standing is a personal choice. Marriages that start as affairs have very little chance of lasting even a few years which means that your MLCer may be divorced soon and perhaps will be interested in reconciling in the more distant future. In Will the MLCer Marry the Alienator? I review some of the statistics (which vary) for this happening and for such a marriage lasting. A true narcissist—Narcissistic Personality Disorder—is a particular challenge, but you love that person and have been loving them for many years. It is still important to ask yourself the important why questions that are so often delivered with an intent to imply you should not want that person. The question why is not the problem, ask it of yourself, but ask it neutrally; it is important that you know why and that you review both the pros and cons of the situation. Can you or should you Stand if the affair produces a baby? A baby born to an MLCer and an alienator enters this world in a precarious situation, but why does that mean you must step aside? Oh, I know the challenges—a constant reminder, continuing presence of the alienator, what to tell the innocent baby someday, who are you to the baby…and countless more. It is not an easy path, but neither is the alternative for many. Basically, if you want to reconcile with your MLCer and rebuild your marriage, Stand; do not let anyone else make that decision for you—including your MLCer. My point: some circumstances such as a baby with the alienator or marriage to the alienator feel as though there is no chance your MLCer will ever want to reconcile and so you might as well give up. Please do not give up, rather follow your own heart and make your own choice. Stand until you are ready to stop, want to stop, reconcile or as long as you desire. 2. My MLCer completely ignores me & is in love with the alienator. How do I stand? Infidelity: Could it be love? Welcome to the typical world of an MLC Left Behind Spouse. I will also disagree that your MLCer is in-love with the alienator. Your MLCer is in-fatuated with the alienator and in-fatuation is what most people mistakenly think it is to be in-love—sappy movies perpetuate this fiction. Your MLCer and the alienator are in the throes of in-fatuation hormones, so they really do think they are soul mates and this is real. They are ecstatic because to them this is a fantasy come true. Bad News: In-Fatuation can last up to 3 years, though even longer if an affair is illicit. Good News: In-Fatuation can be shortened with exposure and when there is a spouse in the picture to create conflict in the affair. I am not saying that the spouse actively creates conflict, rather the presence or idea of someone else causes the alienator to be jealous; it is the affair partners who create the conflict. You Stand by being married—that does not mean you pursue your spouse and remind them about their vows, it means you stay committed to fidelity even though your spouse is not. Stand by doing your Mirror-Work; I know it’s hard to see this as an opportunity, but shift your attitude to that angle. Work on healing from the trauma of the affair (yes, that is possible even while the affair is ongoing), but also on personal changes. You aren’t perfect and maybe there have been things you wanted to do through the years, but you neglected them in favor of your family. So now is your time to do things for your health, well-being and mindfulness. Stand by accepting MLC and the process of MLC. That means you need to accept that your MLCer may ignore you; keep working on your changes. Maybe those changes will attract your MLCer’s curiosity and they will initiate a contact. 3. Is there always an event or trigger that causes the MLC to begin? Usually? Maybe, I cannot say with any certainty. I still cannot figure out any initiating trigger event for Chuck’s midlife crisis. He was scared and perhaps a bit upset when I was laid off with a semester left of graduate school, but the tuition was covered by the severance package and we were given 8 months’ notice before the lay-off; so we had time to prepare. He was frustrated when I initially laid out my budget for staying in school, but I don’ recall him going on about it. That is the only thing that really hit my radar though. A general dissatisfaction accompanying a certain age can be enough to trigger MLC. Or there could be a trigger of which you are unaware—maybe something happened at work that you are either unaware of or seems so level to you that it doesn’t figure into your review of past events. An affair could even be a trigger rather than a symptom—and then it may become a symptom. Men and women have affairs without being in MLC, so such a situation could tip a vulnerable person into MLC. 4. My MLCer now admits we had a good marriage and because if this is overwhelmed with guilt, but still no change of direction. Does this clarity mean it is not a midlife crisis? Progress in MLC is not what you think it is; it is not emotional or relational like you want, it is forward movement in the MLC tunnel and that does not mean things are improving for your situation. MLC gets worse before it gets better. No, it does not mean it’s not a midlife crisis. This clarity is not uncommon; some MLCers exhibit it regularly, some have it and yet bury it—bringing back the fog. As for the guilt, MLCers are known for feeling overwhelmed by their guilt; it is one of the things that enables them to continue running. Each person is different, so for some they feel unworthy and that they are sacrificing for you—you will be better off without them. Others cycle back-and-forth because you are like an addiction and they cycle between clarity and fog. Yes, some MLCers are in denial about the state of the marriage (before MLC), but there are also many why openly show denial, but it’s an act—often to convince themselves as well as others and still others make other excuses for their actions. Some differences may have to do with Contact Type, but then again, they may not since so much less is known about Distant Contacters. My personal experience is with a Clinging Boomerang and Chuck cycled emotionally, but he soon stopped making it about a bad marriage. There were about 6 weeks between Bomb Drop and his moving out and by the time he left he had stopped blaming me. Sure, there was occasional blame and projection, but he admitted this was his crisis and had nothing to do with me. He expressed regret for his actions—actually actions he was planning since his affair was emotional with plans for it to become physical. But he displayed a compulsion—an inability to stop the progress even though it seemed he did not want it. Sure, the MLCer part of him wanted to try the fantasy with the MLCer, but it was like his core Self still had a voice and in many ways this caused even greater turmoil; this inner war caused an extreme fear in him that he was going insane. MLCers cycle between Jekyll and Hyde. 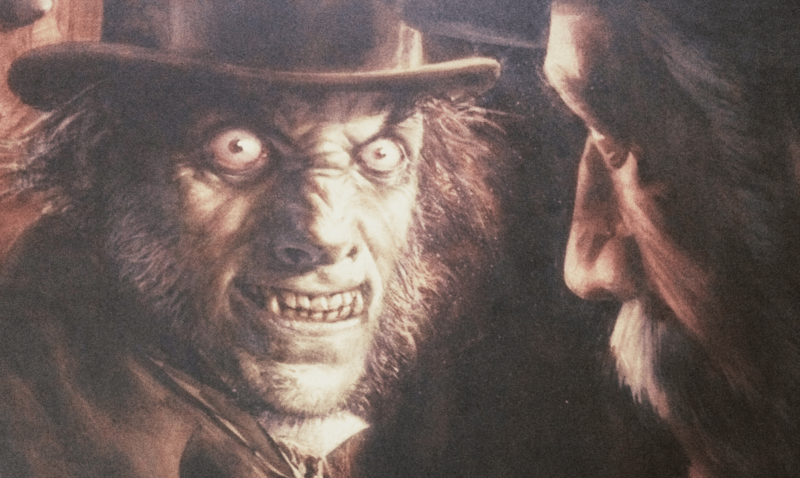 MLCers are not just Mr. Hyde; Dr. Jekyll, who has clarity, is fighting to get control and sometimes they are at a stalemate with neither having full control. After much reading up on MLC and psychology in general, I learned that my MLCer suffered from an Adult Attachment Disorder likely brought on by early childhood abandonment. MLC was then tenably triggered by that and two close deaths in the family, one a sad and brutal murder. The alienator is her narcissistic, abusive ex of over thirty years. Useful to me was discovering how choosing a partner often works and my part in that dance. Particularly helpful was studying this site, The Drama Triangle, MBTI Personality Traits, and reading The Invisible Partners by John Sanford. I now feel that overvaluing relationships is often the root cause of much needless personal suffering. MLC can be an opportunity for all to discover their true self – though I realize everyone's situation is different. Lately, one personal inspiration is found in music especially Jessie J's lyrics, "It's okay not to be okay. Sometimes it's hard to follow your heart. Tears don't mean you're losing, everybody's bruising. Just be true to who you are…" and "I still fall on my face sometimes and I can't color inside the lines 'cause I'm perfectly incomplete. I'm still working on my masterpiece…" I encourage anyone, wherever you are in the MLC journey, to get educated, find your own personal inspiration no matter the situation and always be kind to yourself. what about when the affair lasts over 6 years, and has been out in the open for 5 and living together for that long…is that still considered "infatuation"? is it still an affair or now a relationship that will likely last. we are still married. he talks, sometimes, about "moving things along", not ever specifying separation or divorce, but is this likely to continue on? First, there really aren't exceptions to Standing because it's a personal choice and some Stand even if they are certain their MLCer won't return–they are basically Covenenat Keepers, though they will not use that term if their Stand is not religious. In general, is an affair that has lasted in public for 6 years no longer in infatuation and is it likely to last? No, though perhaps the odds are better for it lasting than the affair that is only 1-2 years old. And there are no guarantees, my step mother is still married to the OM and if he lives until next Valentine's Day it will be there 30 year aniversary–and I call the OM 'Daddy.' (He has terminal Cancer which is why he may not make it to February). In your situation I am more curious about what you have done and said during the 6 years. Does he think you are accepting of the affair and just indifferent regarding legalizing your divorce? Or does he know you are Standing? Being cordial is important, but have you been so nice and seemingly accepting that he feels no guilt? Or is it the opposite and you have been so angry and blaming that he wants nothing to do with you and sees her as a better option? Or it could be none of those. When he talks about moving things along, do you ask him to be more specific–use the word divorce? As a Stander I would have commented back that it certainly was time to move things along and get rid of her so he can get back to repairing our marriage–though that was something that I would have been able to say because that sort of communication was an established part of our dynamics and my Stand. That is not something someone can say out of the blue. thank you for your quick response! for the most part, i've stayed out of his way. throughout the past five years, i've left him to his life. whenever he initially mentioned "moving on" – in the first 2 years, i would tell him it's not what i want, i want to work on our marriage, but that i wouldn't stand in his way. and a few times earlier on, he referred to that as a reason why things haven't "moved on", as he calls it, because i didn't want that. around the 2.5 year mark, he made an attempt to return but i believe he either quickly realized he didn't want to come back or it was a ruse to get me to leave my home – him trying to oust me. he returned to her and waffled between kindness and helpfulness and downright meaness. since that time, i went dim, never initiating any contact and only responding to important matters. would chit chat about insignificant things during pick ups and drop offs but mostly i would just not be available to chat. when things would set him off, usually because of me GALing, he'd pick fights and then threaten to sell the house and get "things done". during these times and up until my last face to face interaction with him, my response has been that his anger has been misdirected, that any feelings of being 'screwed financially' or otherwise are all consequences of the choices that he's made and that i had never wanted any of it, that i wanted to work on our marriage but that he chose not to. he really is still so angry with me. most recently (a month and a half ago) he just showed up without any notice (generally because i make myself scarce when i know he's coming), worked himself into a frenzy about how i do nothing and take care of nothing, let the house go (not at all true) and stating that he's finally "talked to someone" and that i need to get my things in order (paperwork) because i'll be getting an email from his lawyer that week. he was so unnecessarily mean and hurtful (i didn't show in anyway that i was that affected but i was) that i wrote a letter stating that that was the last time we would speak face to face. everything was to be by email (text if emergency) and concern only our child and the house…everything else could be taken care of through our lawyers. within a few days of receiving the letter, he called from the doorstep (wasn't aware that he was that close – i didn't answer) and then came right in looking for mail. i answered very briefly and removed myself. i feel he's reached volatile levels and is now firmly at a point of no return – mostly because he "seems" so invested in his life now (i believe she is now wearing an engagement ring). however, i have yet to hear from any lawyer. when speaking about three months ago, he brought up that he felt like i had emotionally left the marriage long before he did which i responded that it wasn't true. i could see he was struggling and would ask him to tell me what was wrong but he always just responded that he was tired. he said it the same way every time so i mimicked (not in a sarcastic way) how he'd say it, hoping he'd at least remember that. how can one person help another when the other won't even admit there's a problem? i went on to say that i loved my family, would not have left and wanted to fight for it but that i did feel as though i was always on the outside looking in. he said he didn't know i felt that way. but left it at that – in a way that seemed very "makes no difference now". he mentioned "moving on" and i specifically asked what he meant by that "do you mean SEPARATION?". he just stared at me. he told me that it would likely mean us ending up hating each other, to which i replied "if you end up hating me over this, it's something i'll have to live with". i guess the depression is ongoing and i guess i didn't relay my stand very well initially. i've detached quite well but wonder if maybe i have too well. he has never used the word "divorce". i guess i just wonder if this is the new normal. my son's parents "moving on" as strangers. thank you so much for your input. I really have no clue what my husband is doing. He has even gone so far as to now have me his WIFE in court pressing charges for harassing his "GIRLFRIEND" What…. Yes, you read correctly. The madness just does not seem to have an end in sight. He moved out leaving myself and 5 girls here as if that was just alright. He is having an affair with his partner from work, he actually looked me in the face a few weeks ago and adamantly stated that he has "Never Cheated" on me. Last time I checked we are still married and it has not even been three full months since he moved out. He has gone out and brought my dream car the Lexus RX300, they went on vacation together about two weeks ago meanwhile I am here with our daughters Struggling. They are now both livid because I contacted the job and they have been reprimanded severely and are no longer allowed to work together the nature of their job they are very close and spend A LOT of private time together so that was nipped in the bud immediately, thankfully. She is fully aware that he is married and has daughters she knows me and I asked her face to face was there anything between them before it spiraled into all of this and she assured me "NO" I found text messages that she sent him scripted to assist him in telling our daughters that he was leaving I mean this is a total disaster and my Awesome MLC Husband almost gave word for word. I kept saying this does not even sound like you what are you saying / doing, of course I get a blank stare then eventually "you just don't understand" then I yell then Help me understand… The exposure that they are getting at the job I can say is really getting to them. I will not stop, I will make each day MISERABLE for the two of them. Our daughters have pretty much cut him off and because they are all teenagers, our oldest is a college sophomore they see everything and they too have spoken to her asking how are you alright being a woman knowing you are the reason we do not have a relationship with our father she basically does not care… I can not understand how a couple can be together for 23 years, our 19th wedding anniversary is next week and he acts as if never was married and has never loved me, let him tell it these were the worst 19 years of his life. It is so hurtful. I honestly do love my husband and believe in the covenant. This is the most difficult thing I have ever experienced. Hello I feel your devastation, my husband left me with 2 girls. He also acted as if I harassed him and the other person. He moved out for 3 months this Summer. I used this website along with Rejoice Marriage Ministries , to heal myself from the anger. It is a work in progress. My girls are watching my reactions. He has returned home actually 3 weeks ago. But this is the real work on the covenant of marriage. It is possible. You are not alone.